Led by University of Washington, this project will provide transportation fuels derived from sustainably grown hardwoods. Alaska Airlines is a Seattle-based carrier that collectively serves over 90 destinations in the United States, Canada, and Mexico. They are working within NARA to provide a demonstration flight using IPK made from forest residuals using conversion technology developed by NARA members. ANDRITZ is a globally leading supplier of plants, equipment, and services for hydropower stations, the pulp and paper industry, the metalworking and steel industries, and for solid/liquid separation in the municipal and industrial sectors. NARA conducted pretreatment processing trials at ANDRITZ’s pilot plant in Ohio. Led by Colorado State University, BANR is investigating use of insect-killed trees as a sustainable feedstock to produce biofuels and biochar. Biomass ad Infinitum LLC provides consulting services to the biomass conversion research and development and deployment industries. For NARA, Biomass ad Infinitum LLC served as the project manager to develop IPK from forest residuals used in a demonstration flight. 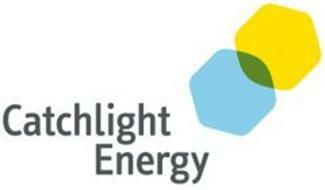 Catchlight Energy’s vision is to become a major integrated producer of biofuels derived from non-food sources and to deliver renewable transportation products produced from biomass in a manner that is scalable and sustainable — both environmentally and economically. Led by Iowa State University, this project will produce advanced transportation fuels derived from native perennial grasses such as switchgrass, big bluestem and Indian grass feedstock. 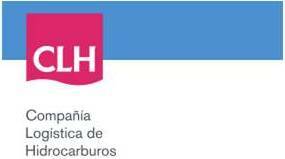 Compañía Logística de Hidrocarburos CLH S.A.
Cosmo Specialty Fibers, Inc. (CSF) is an affiliate of The Gores Group and was created to restore, restart and operate Weyerhaeuser’s former specialty cellulose mill in Cosmopolis, Washington. This facility currently produces a high-quality dissolving wood pulp. The residual process streams generated from this operation could be converted into sugars for fuels and chemical production. Forest Business Network is “the source for forest product industry professionals” and provides the industry with the latest news, information and resources. Its business includes online publishing, consulting and event marketing. They assist NARA’s outreach efforts by distributing NARA news to their viewers. Gevan Marrs LLC provides consulting services to NARA relating to feedstock characteristics and processing plus the development of a techno-economic analysis for a wood-to-biojet biorefinery. Through the NARA project under the USDA grant, Gevo intends to convert woody biomass feedstocks into renewable aviation biofuel and other renewable chemicals including polymers, solvents for paints, and renewable rubber. 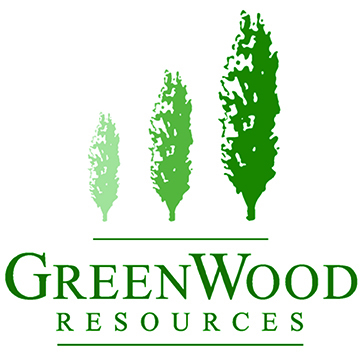 GreenWood Resources (GWR) is a global timberland investment and asset management company specializing in the acquisition, development and management of forestry assets. For NARA, they evaluated the potential for conifer plantations in western Montana. ICM’s research and development team leads the biofuels industry in developing game-changing equipment and process technologies. The ICM facility in St. Joseph Missouri contributed to the 1000 KIPK project by producing isobutanol from pretreated forest residuals. Montana State University Extension Forestry will assist with the NARA Extension Working Group by providing information about the NARA program and research updates to Montana stakeholders including industry, logging and landowner professional organizations and conferences. In addition we will produce and publish brochures, popular articles and guidelines for these groups as well as assist with the scoping process and development of a test bed site. The National Renewable Energy Laboratory (NREL) focuses on creative answers to today’s energy challenges. From breakthroughs in fundamental science to new clean technologies to integrated energy systems that power our lives, NREL researchers are transforming the way the nation and the world use energy. Researchers from Oregon State University will receive $4.4 million as part of the Northwest Aviation Renewables Alliance, led by Washington State University. “The primary goal of this initiative is to find new ways to produce aviation fuel and high value chemicals using a sustainable supply of biomass,” said John Sessions, a distinguished professor of forestry and holder of the Strachan Chair of Forest Operations Management at OSU. South Hampton Resources is an independent, petrochemical manufacturer in southeast Texas. Since1955, it has progressed through several stages to emerge as a strongly competitive specialty petrochemical processor. South Hampton Resources contributes to the 1000 K IPK project by producingIPK from isobutanol made from forest residuals. Led by the University of Tennessee, this project will produce butanol, lignin byproducts and energy derived from switchgrass, pine and Eucalyptus. Steadfast Management provides management and consulting services and contributes Phase and Gate and pretreatment/conversion leadership to NARA. Led by Louisiana State University, this project will produce biofuels and co-products derived from energy cane and sweet sorghum. NCGR contributes to the NARA project by evaluating the genetic basis in woody biomass that leads to desirable traits suitable to aviation fuel and co-products conversion. This effort is led by Dr. Callum Bell, who is the sequencing center director and Vice President of Research at NCGR. Led by Pennsylvania State University, this project will produce advanced transportation fuels derived from shrub willow, short rotation woody crops and warm-season grasses switch grass and miscanthus. Paul Smith, professor of forest products marketing in the Penn State School of Forest Resources, leadsNARA’s Environmentally Preferred Products (EPP) group within the Systems Metrics Team. 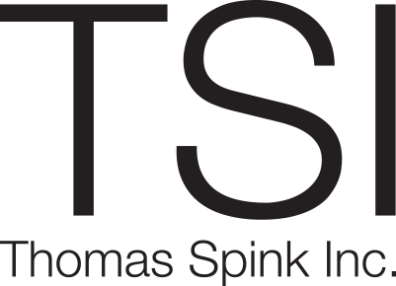 Thomas Spink Inc. is a consulting firm specializing in biomass chemical engineering and assists NARA in co-product development and economic analyses. Two areas of research occur at the University of Minnesota’s Department of Bioproducts and Biosystems Engineering that directly contribute to NARA. To help avoid unintended impacts to society, the economy or the environment, University of Washington’sIvan Eastin will lead the life cycle assessment of the fuel being produced and research effects on communities. The University of Wisconsin-Extension works in partnership with 26 UW System campuses, 72 Wisconsin counties, three tribal governments, and other public and private organizations to fulfill its public service mission. This is the “Wisconsin Idea” – extending the university’s boundaries to the corners of the state. The University of Wisconsin Extension will contribute to NARA’s goal of enhancing bioenergy literacy for students, educators and the general public. NARA is tasked with empowering stakeholders to plan and implement the changes needed to build, develop and sustain a biorefinery infrastructure. Eini Lowell, a research forest products technologist with the U.S. Forest Service Pacific Northwest (PNW) Research Station assists in that effort. Eini will help identify and screen test bed communities. She will also initiate and help extend relationships with regional stakeholders and partners by convening meetings, workshops and focus groups. Research General Engineer Jun Yong Zhu, USDA Forest Service, Forest Products Laboratory (FPL) in Madison, Wisconsin, will demonstrate his patent-pending technique, SPORL (Sulfite Pretreatment to Overcome Recalcitrance of Lignocellulose), in the Northwest Advanced Renewables Alliance (NARA) program. 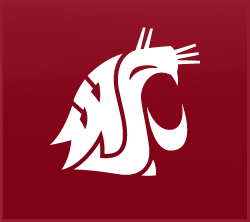 Washington State University is the leading institution for the Northwest Advanced Renewables Alliance (NARA) and the five-year, $40 million grant to help develop wood-based alternatives to petroleum-based fuels and chemicals. The WSU-led consortium includes 15 partners ranging from private companies to public research institutions, along with over 50 principal investigators. Western Washington University is a comprehensive, masters degree granting institution located in Bellingham WA. Faculty in the Huxley College of the Environment, along with university’s Institute for Energy Studies (IES) are involved in the education and outreach goals of the NARA project. IES is developing an interdisciplinary undergraduate degree in energy studies and a minor in Energy Policy. The intention is to integrate bioenergy into these curricula. As part of its involvement, Weyerhaeuser will establish a new research site near Springfield, Ore. to better understand the effect of forest management practices on soil, water and wildlife. The site is intended to provide information on the effect of biomass removal, compaction and fertilization on soil, water and wildlife. Weyerhaeuser scientists Greg Johnson and Scott Holub will lead the study.